The Refined Geek » Unium: So Many Lines! I used to be spoken for when it came to short time waster puzzlers as none to could topple the venerable 2048. You see it’s not so much that the game itself is that challenging or intriguing (although I will admit it too me far too long to get my first 2048 block) more that I had seen others get really high numbers and I wanted to do that to. So, whenever I found myself with 5 minutes to burn there I’d be, combining blocks together, trying to get my score higher. Since changing phones however I’ve lost my score and this has opened up the opportunity for another contender to take its place. 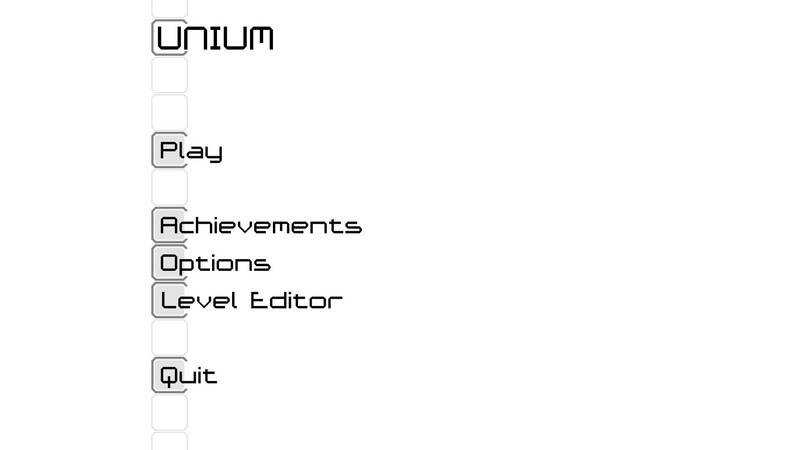 Unium, with it’s deceptively simple concept, is one I’ve lost a decent amount of time to over the past couple weeks and could very well be a contender for my time waster of choice. 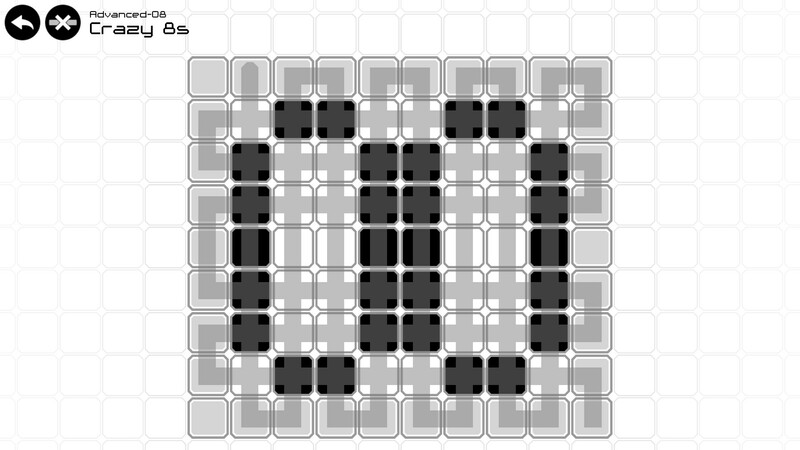 The objective is simple: you have to fill in all the black blocks on the screen and can only do so by drawing a line. If the line crosses itself it’ll turn black and you can only cross another line perpendicularly, meaning any corner square is essentially fixed as you left it. There are well over a hundred different grids for you to try your hand at with a limitless supply of new puzzles now being delivered through the Steam Workshop, created via the in game editor. As a concept it’s very easy to grasp however the puzzles, even when they look simple, are anything but requiring either a lot of trial and error or a laterally thinking mind to complete. Graphically Unium is very simple with the colour palette limited to just the gradient between black and white. For games like this simplicity in the presentation is something I’ve come to appreciate as it means that details aren’t lost in seas of colour or other visually confusing elements. Apart from that there’s really not a lot to say about it how it looks as once you’ve seen the first puzzle you’ve seen all the game has to give you visually. The minimal soundtrack in the background is a nice touch however, even if the menu sounds seem like they were sampled at bitrate far below what they should have been. The puzzles start off pretty simple, showing you the basics of how to fill in all the blocks and throwing you a few curve balls every now and then to get you thinking differently. Once you’re past the initial set of easy puzzles however things start to get really interesting as you’ll often not be able to just figure it out as you go along. Indeed it’s past that point when Unium starts to show its chops as a real puzzler as the puzzles no longer accommodate a range of solutions, instead only allowing a few ways for the puzzle to be solved. I have to admit that there were a few puzzles that stopped me dead cold for quite a while although now I figure I’ve cracked the secret for puzzles like this (for the most part). 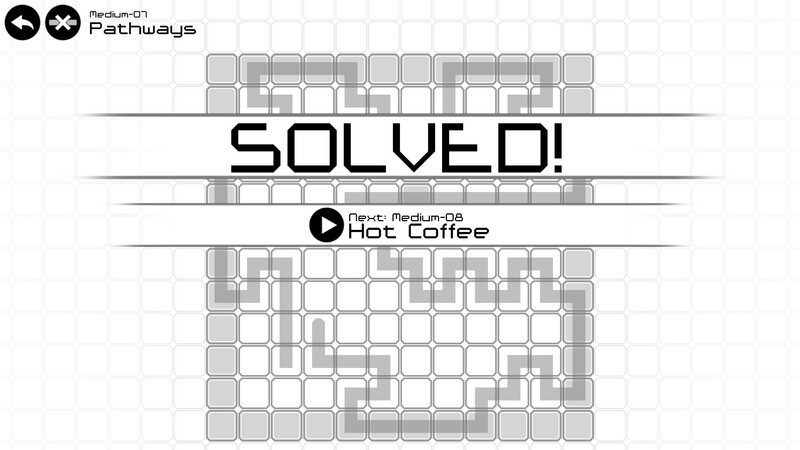 The two most important aspects I found for solving any of the harder puzzles was the start and end of the line and the direction in which you were solving the puzzle (which could be roughly described as clockwise or anticlockwise). There are some puzzles that, unless you pick the right start and finish positions, are simply unsolvable as those two blocks have unique properties that the rest of them don’t. The direction has less of an impact as any puzzle should be solvable in forward or reverse, however I often found that if I was tackling a problem in one direction switching it to the other side would usually trigger an insight into how the puzzle was meant to be solved. That might just be how my brain works however but it’s definitely something I’d recommend trying if you’re struggling. Unium is a great little puzzler, presenting an extremely simple concept that’s easy to grasp yet incredibly challenging to master. It might not be the most visually interesting game around however it’s minimal aesthetic means you’ll be keenly focused on the problem at hand rather than ogling all the pretty colours. The now limitless stream of puzzles is sure to give Unium staying power far beyond its original station and I’m sure there are going to be some incredibly frustrating puzzles coming out of the community. If, like me, you were looking for a replacement time waster then you won’t be disappointed with Unium. Unium is available on PC, iOS and Android right now for $1.99, $2.49 and $2.49 receptively. Game was played on the PC with a total of 2.4 hours total playtime.